I started to play RuneScape in May 2007 when my friend Jozef204 (now BKJozef226) said me about this game. I didn't have to think long above my name. I gave the name of Viktor 36. "Viktor" was from my real name and number ... A lot of people ask me why I have "36" in name. When I was creating my account, I remembered my grandfather which died only a few years ago and he was born in 1936. In his honor I gave number "36" in the name. I had same account and same name since my begin and I have never changed the name. I have managed to maintain my account despite the fact it was stolen several times. 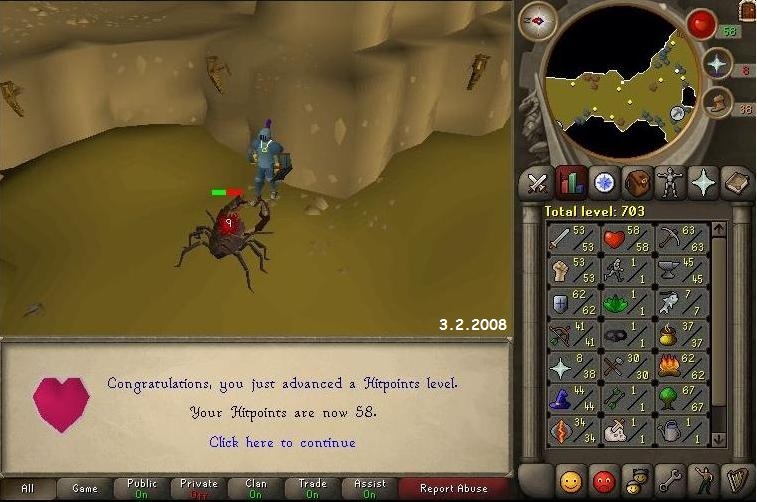 My start in RuneScape was very slow, because I could play only once a week. My friend showed me the game and he told me all what I needed to know. 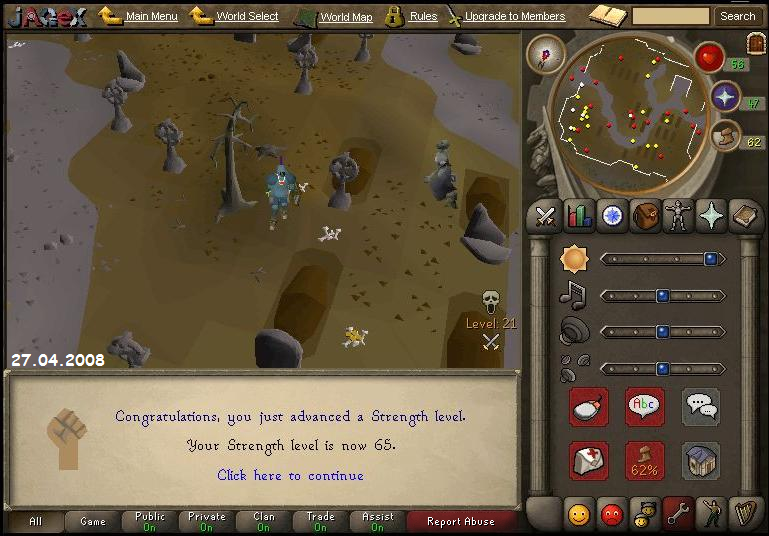 A few people from our elementary school played RuneScape and I wanted to be the best of them. I was first of them who made Dragon Slayer quest. It was the hardest quest for us at the time. Only one month after the start I founded my clan Blue Knights. 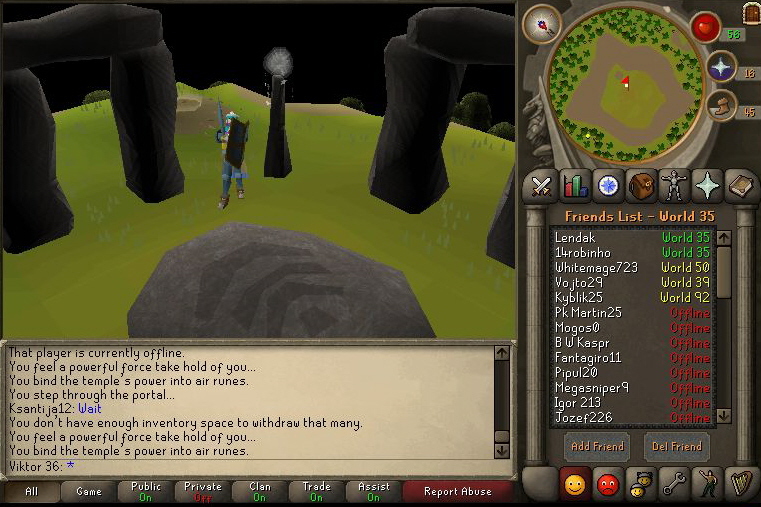 We were noobs and we went into the Wilderness with Full Rune, which was our fortune. After a few minutes in Wilderness we found ourselves in Lumbridge without our items, but it was funny. As I mentioned earlier, my account was scammed four times, but I never gave up. 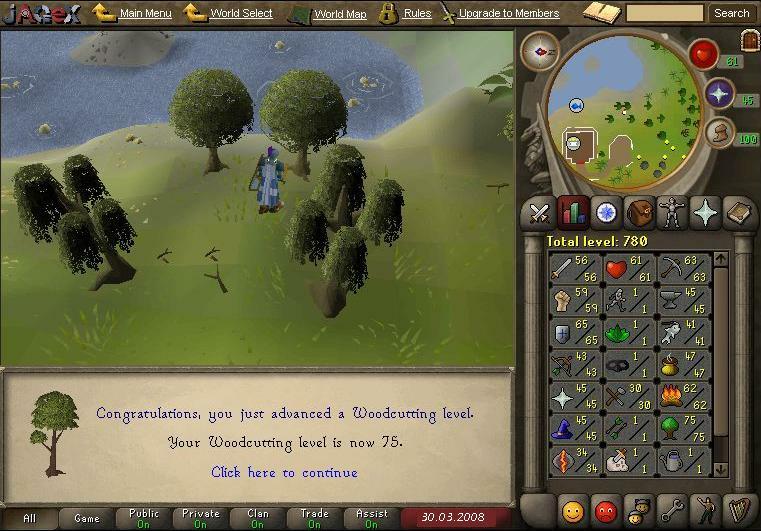 Woodcutting became my favourite skill and I earned a lot of money with it. 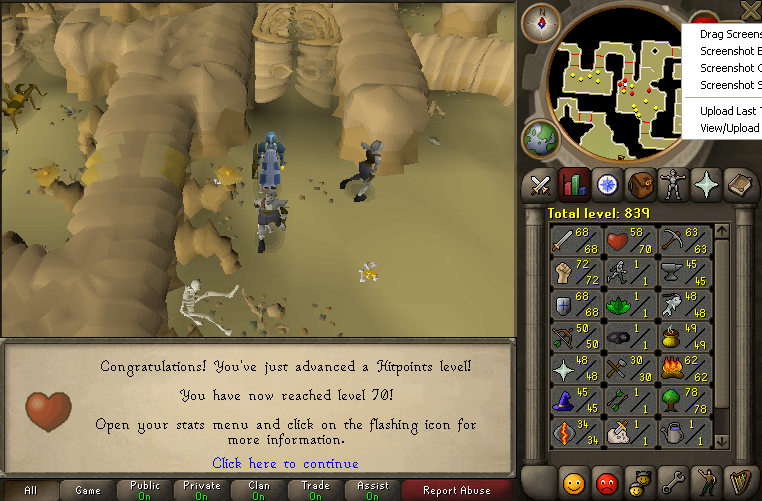 I played RuneScape as F2P player two and half years. 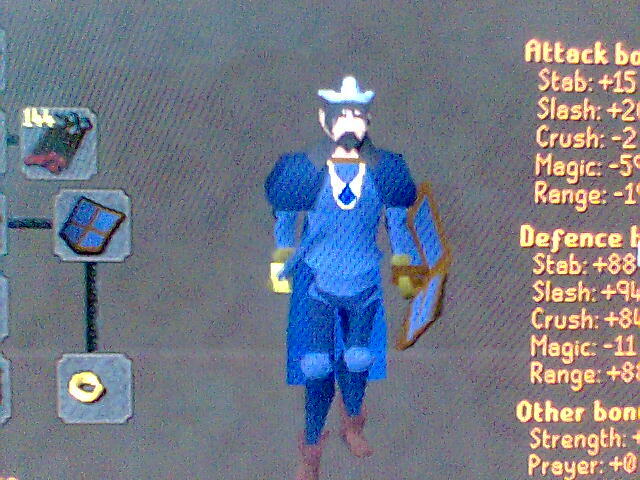 From about mid-2008 I walked over RuneScape in my Full Rune (t) and the outfit resisted for a long time. 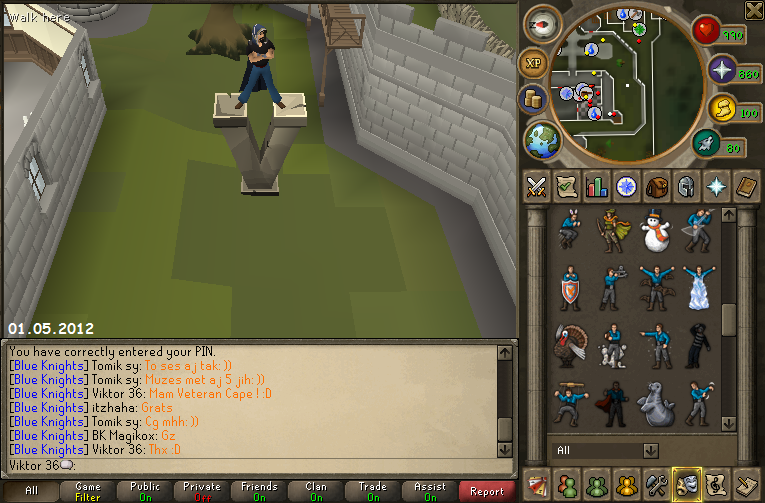 After a long time and several unsuccessful attemtps to pay P2P, I became p2p on the 25th October 2009. Only one hour after paying I leveled up my Total level 1000. For all my money that I earned by Woodcutting, I bought my p2p outfit and Abyssal Whip for 4 million. I always trained combat, because I wanted to be better for clans. 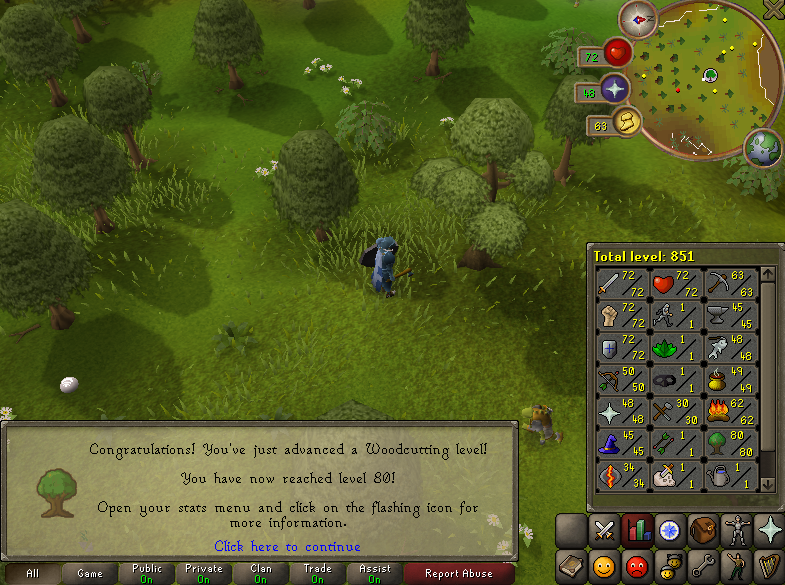 My first big achievement was Woodcutting level 99 which I leveled up on the 7th July 2010. 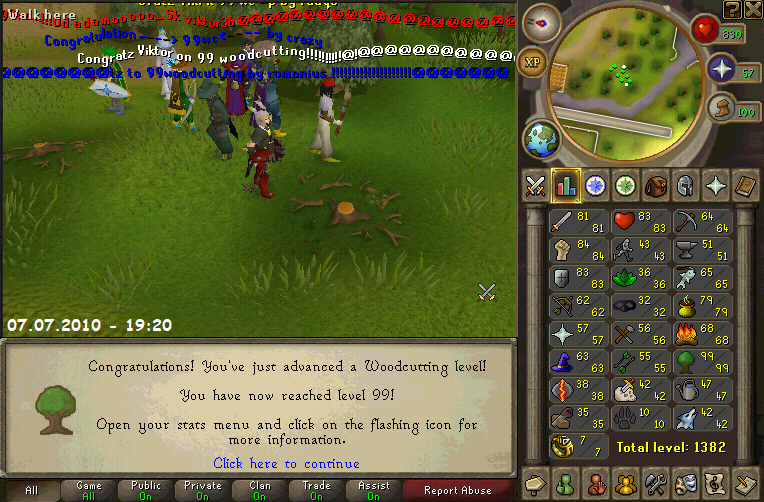 I was afking Woodcutting a lot, because I had a lot of things to do in real life. I joined clan Czecho-Slovak Forces on the 2nd August 2010 with combat level 103, so I could improve my warring skills and help to CZ/SK community. I trained combat, tanking and binding. I needed combat 110 to become Full Member. Unfortunately, I didn't manage to level up 110 combat, so I had to leave Czecho-Slovak Forces after one month. This clan helped me with my warring skill much. I believed that I will have combat once and I will come back. 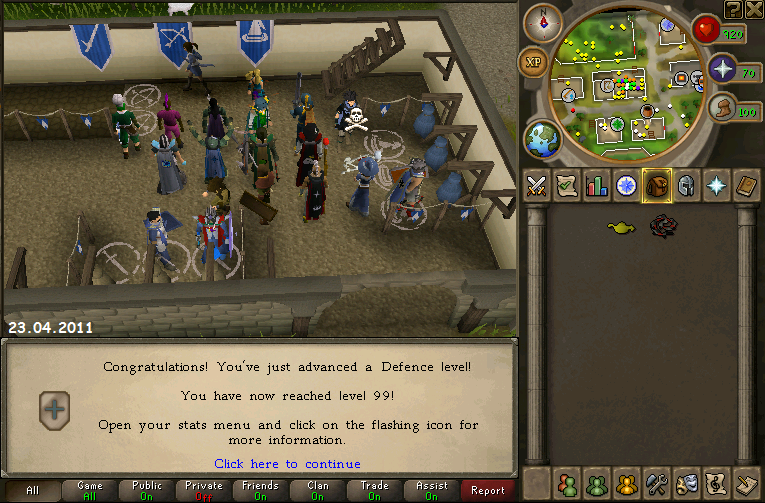 My another major achievement was Defence level 99 for better tanking. 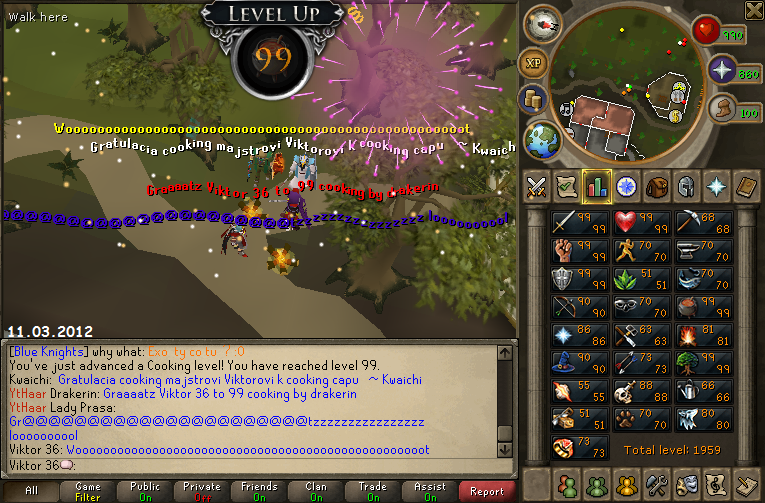 I was leveling it very slowly, because I didn't have time for RuneScape. When I leveled up 110 combat successfully, so I re-joined CSF on the 6th March 2011. 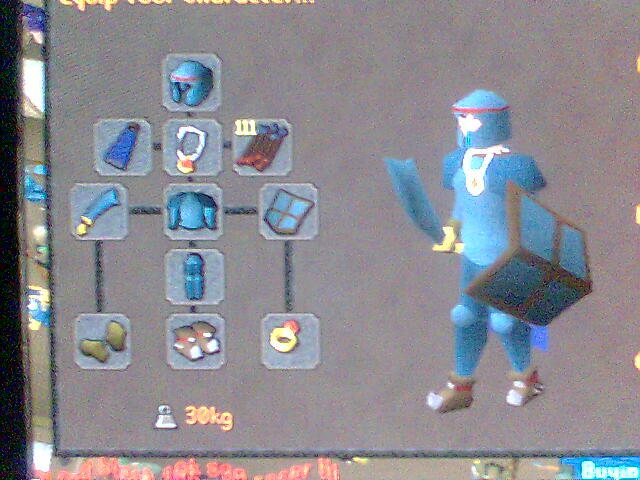 My warring skill was improving very well and I could help to my clan Blue Knights also. Blue Knights improved with me too, because I could learn my members what I learned in CSF. 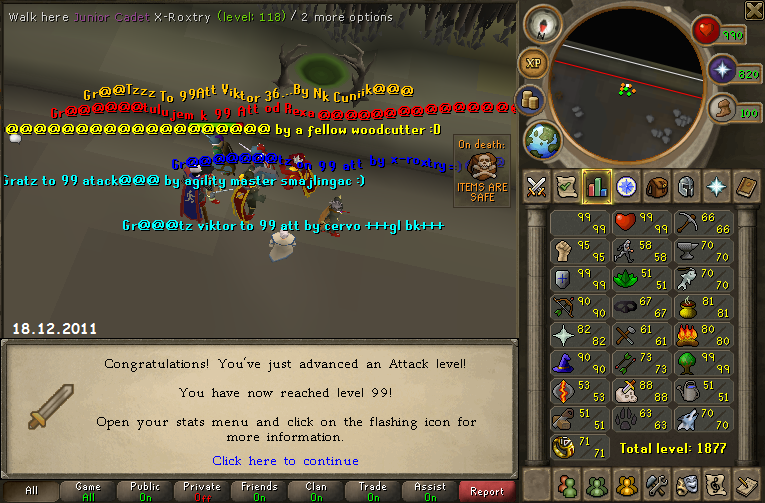 After much effort I successfully leveled up my Defence level 99 on the 23rd April 2011 and my Woodcutting Skillcape became trimmed skillcape. I was the most active member of CSF for half year and I became Member of the month in April 2011. CSF decided to cancel multiclanning with other CZ/SK clans and I fought against it. My efforts were in vain and I had to leave CSF in late August and September 2011. I was Clan Friend of CSF since September 2011 and I won the award Best Clan Friend of year 2011. I joined Clan Europe on 2nd September 2011 and my warring skills improved too much. While being in Clan Europe our old CZ/SK community re-opened and I became Administrator of CSRUNE (Community Board) on the 13th October 2011. I was doing very good job on board and in Clan Europe too and I became Event Coordinator of Clan Europe on the 30th October 2011. Before the end of year I qualified for the rank Co-Leader. Later in 2012 I was Leader and Administrator. I was Administrator until my end in RuneScape. 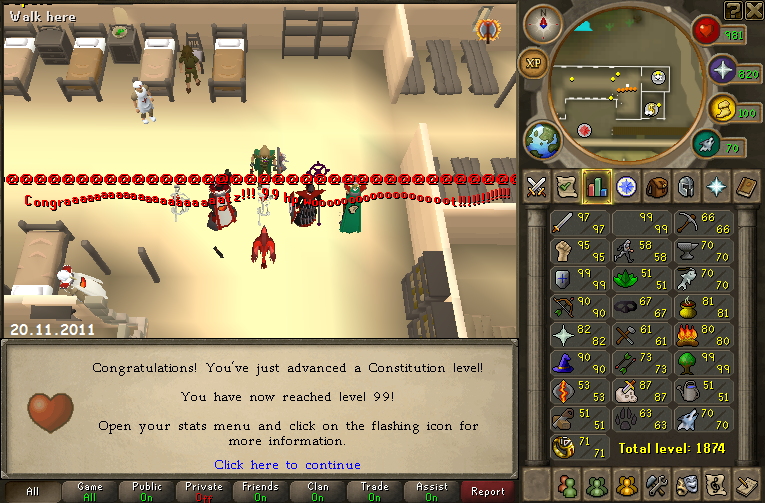 In 2011 I completed my Constitution level 99 (20th November 2011) and Attack level 99 (18th December 2011). 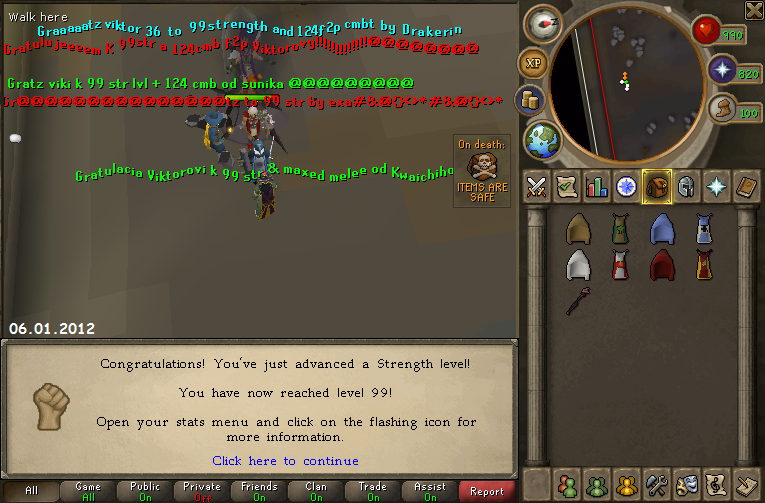 At the beginning of 2012 I did Strength also (6th January 2012) and Cooking level 99 (11th March 2012). My clan Blue Knights started working with Night Killers in November 2011. We founded Alliance BNK and we were improving us. I joined Night Killers clan on the 10th December 2011 for better cooperation. I was forced to leave later and I was Clan Friend until I abandoned NK completely on the 14th April 2012. I wanted to help to small clans and I joined small CZ/SK clan Devil Knights on the 26th February 2012, but I was there only for one and half month. I was looking for some good team and I found Team Morphic. I didn't hesitate and I joined on the 1st March 2012. I stayed there for six months and then I asked for rank Team Friend. One friend needed help with his clan, so I joined first time polish clan Green Dragons on the 25th March 2012, where I quickly got upper hand. In mid-May 2012, I left Devil Knights and Green Dragons, because I needed to deal with other things. Year 2012 was very interesting. Clan Czecho-Slovak Forces founded theirs Juniors, where they allowed multiclanning. From 1st May 2012 to 3rd June 2012 I served as the Official, but due the disputes with some of members I prefered to leave the clan. Later clan Czecho-Slovak Forces decided to cancel the ban of multiclanning and I went there back as a member on the 12th October 2012. Of course, some members didn't forget our disputes, so I won award Biggest Failure for year 2012 as reward for our disputes. 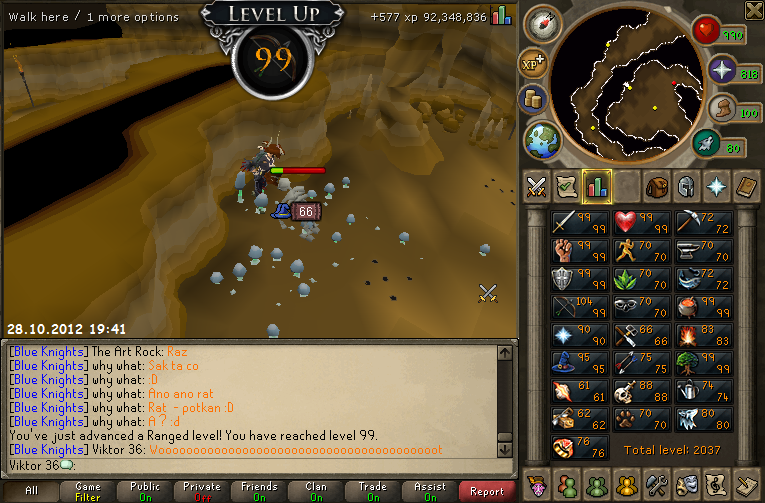 My last 99 I leveled up on the 28th October 2012 and it was Ranged. Jagex worked on the big change of RuneScape since mid-2012 and it came in November 2012. 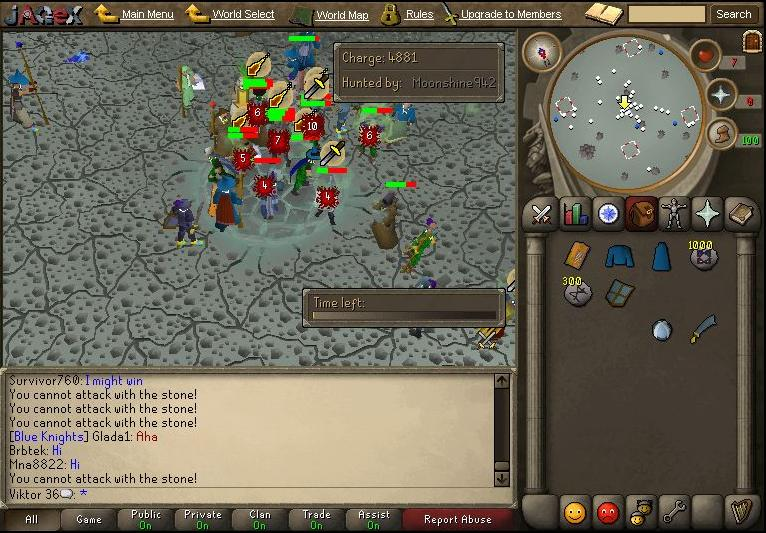 New combat system came to RuneScape and Clan Wars rapidly changed. I didnt like this update and also a lot of other players especially in warring clans. I tried this system, but I didnt enjoy it. I lost my interest in Clan Wars because of it.